Can women indeed 'have it all,' and what does that even mean? 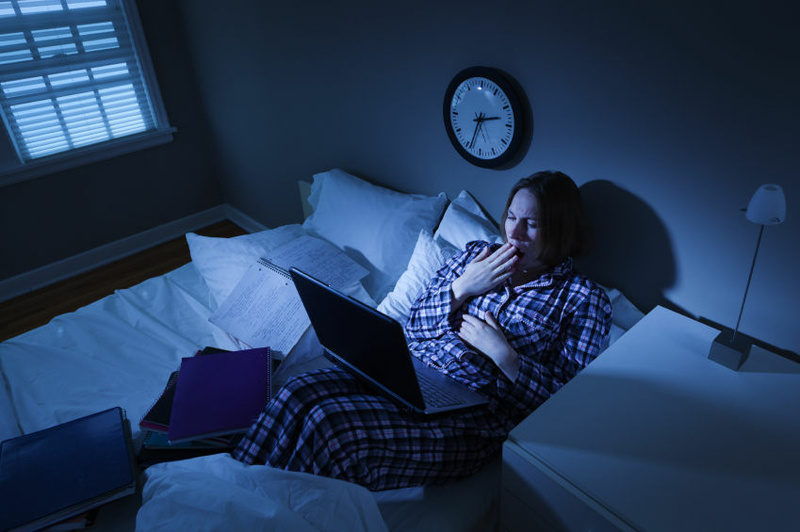 A young woman trying to crunch some time brings her work to bed. The modern woman most likely juggles her time between family, job, and any semblance of a social life she’s able to pull together in her spare time. Successfully keeping all of these plates spinning means to “have it all” -– but is that even possible? But what does “have it all” really mean? How can one possibly measure success in all three arenas? Is “having it all” a realistic goal for women – or anyone – to aspire to? If you “have it all” – what’s your secret?